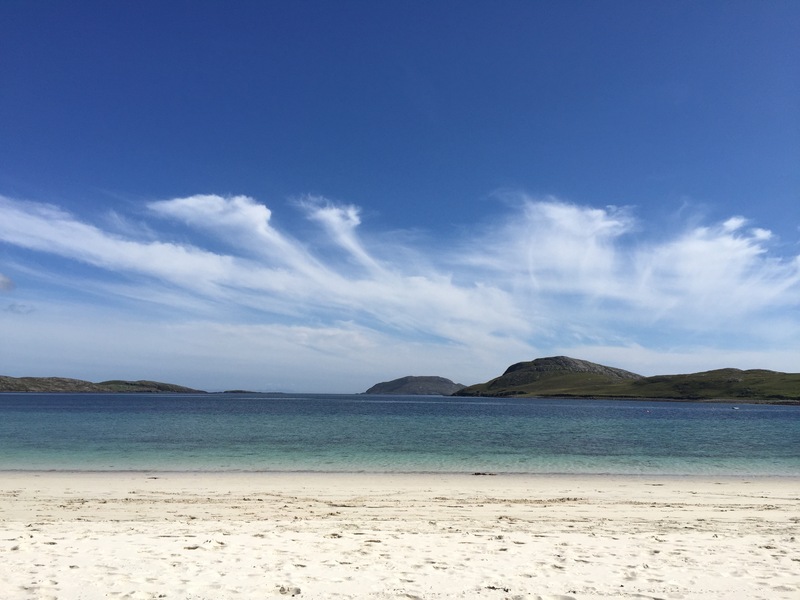 Eriskay : even the Outer Hebrides, the chain of islands off the west coast of Scotland, are facing unprecedented change with the arrival of high speed broadband, 4G mobile services and more media attention and tourists than ever before. Resilience is often described as our own internal support system, identifying ourselves at our best and understanding and addressing the impact of pressure. Resilience is about managing pressure and understanding its impacts. It is analogous to a spring, which has a natural resting place but can extended further in either direction. Only at it’s limits when it’s tolerances have been exceeded does the spring become uncomfortable and its performance is impaired. Psychological resilience can be described as “bouncing back to a state of normal functioning after experiencing pressure without negative effect”. Impact and tolerances differ between people and over time, accordingly it is helpful to understand and trust those around us so that we all get to know, accept and understand everyones impacts and tolerances. It is essential to identify what we can influence and control and what we can only accept, embrace and be grateful for. It is beneficial at all times to remain considerate and helpful to those around us in order to support positivity and to naturally help everyone spring back to optimum performance and resilience. Physical, psychological and emotional awareness and management are critical to springing back into shape during times of high impact and disruptive change. Self-forgiveness and forgiveness of others builds strength and willpower. The harder you are on yourself and others in the event of a failure the more likely there will be further failures. Consider yourself to be a good friend and talk to yourself as you would talk to a good friend or lifetime companion. Engage in encouragement and support over criticism. Optimism together with a positive outlook and approach are all essential but work more effectively when teamed up with a dash of pessimism to help remain grounded and mindful of the need to address potential failures. Future happiness is going to be as real and as important as now. Imagining ourselves in the future can help make better decisions now as our minds can more easily aim for the future already envisaged. Predicting our own failure can help us to spring back. Becoming interested in the process of understanding and coping with failure and experimenting with ways of dealing with failure quickly and moving to success can be helpful. Stress testing things by ourselves and with friends and colleagues can help to understand new and unexpected ways things might succeed, break or fail. Understanding what the obstacles might be and when are the failures may occur may help to avoid, address or recover from the failure. Taking time to understand the true reasons for failure, in the process being open and honest and interrogating the failure genuinely and compassionately. Focusing on the failure, the process and the facts not the individuals. Mindfully managing any physical discomfort and trusting that we can tolerate any uncomfortable sensations. If we just wait the physical discomfort will often go away and if it does not we can experiment some more so that we rise up through difficult changes. When we are tired it all becomes harder. Sleep, exercise, eating as well as possible – a low glycemic unprocessed plant based diet, engaging in mindful breathing and meditation each day can all help to provide a better foundation to support resilience. Always being kind, compassionate and forgiving to ourselves and others. It is good to let ourselves and others off when we simply can’t achieve any of this. Above all be forgiving, adjust and adapt by making small manageable changes. Strive to identify what we and those around us really do want and then be realistic about what can be achieved and how. An additional hour of sleep each night and 10 minutes’ meditation has been proven to make it easier to retain focus on ultimate goals and increase resilience, springing back to optimum functioning faster and with greater ease. Legal Counsel recently awarded Masters degree in wellbeing in legal practice. Lover of learning, yoga, balance, breathing, dogs, children, compassion, journaling and mindfulness. Passionate about resilience, health and wellness .